Times of San Diego was read by 268,672 people in August — up 19 percent from the same month last year — and subscribers to the daily email newsletter topped 5,000 for the first time. The vast majority read Times of San Diego by navigating to the home page, performing a Google search for news, or clicking on a Facebook share. But as many as 100 people a week are now signing up for the free newsletter, which goes out at 8 a.m. daily and presents the top stories of the past 24 hours. Readers have told us that the 10 articles delivered daily summarize the news in San Diego in an interesting and comprehensive way. 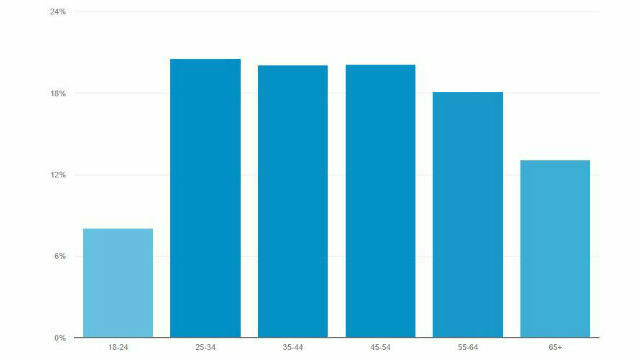 As in previous months, the website’s readers in August were young, mobile and local. Seventy percent of reading sessions were by people under the age of 55, with the 25 to 34 group the largest overall. Smartphones accounted for 59 percent of reading sessions. Overall, 45 percent of sessions were in San Diego County, with another 10 percent elsewhere in Southern California. Times of San Diego’s staff of six contributing editors publish an average of 20 articles a day, and the number is growing as we invest in additional news sources. If you like Times of San Diego, please sign up for our free daily newsletter and consider making a small monthly donation through our secure PressPatron link.